I assume you know about how to edit applicationHost.config of machine which is inside the directory C:\Windows\System32\inetsrv\config. But you don't know about the file path of applicatiohost.config file of a web site which is run in IIS Express. 1.Right click the IIS Express shortcut icon which is on Task bar. 3. 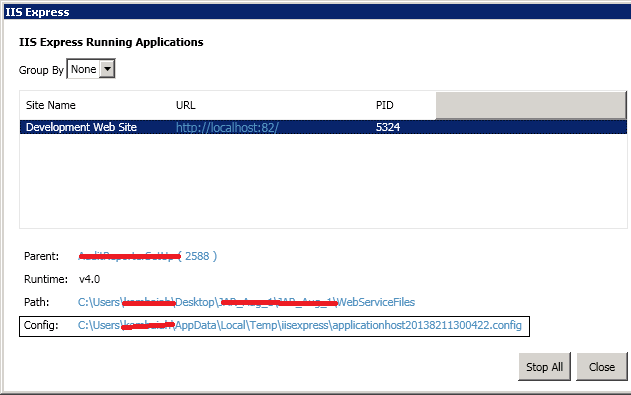 Now you could see the location of applicationhost.config file of your web site which is run on IIS Express.